Magnificent view of the mighty mountains, admirable chorten, mani walls and prayers flags. Rare glimpse of a mix culture. Visit to glorious Tiger's Nest Monastery. Panoramic View of Paro Valley. Flight to Paro is one of the wondrous flight. The view of snow-covered mountains make the flight blissful and paradisiacal. After the landing, Bhutanese adventure begin. 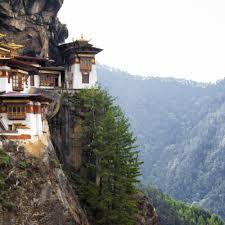 We visit some historical places around Paro valley and head towards Thimphu by an hour long drive. The capital city of the country have the population of 104,000. Thimphu provides the rare glimpse of a mix culture, customs and traditions. 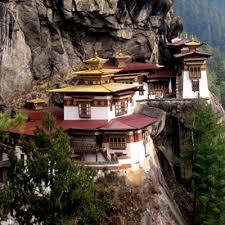 The Thimphu sightseeing includes. Kuenselcholing view point, Memorial chorten and Taschichho Dzong. 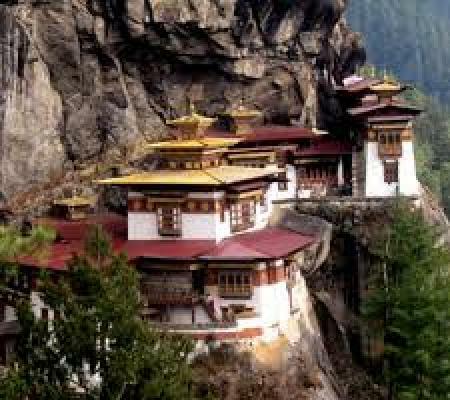 In the 3 day we head toward the ancient capital of Bhutan. Small drive of 45 minutes takes us to Dochula pass (3,080m) which affords a magnificent view of the mighty mountains, admirable chorten, mani wall and prayer flags. The main attraction of the day is Punakha Dzong, a huge 17th century monastery fortress spectacularly built at the junction of Phochhu and Mochhu rivers in 1637. 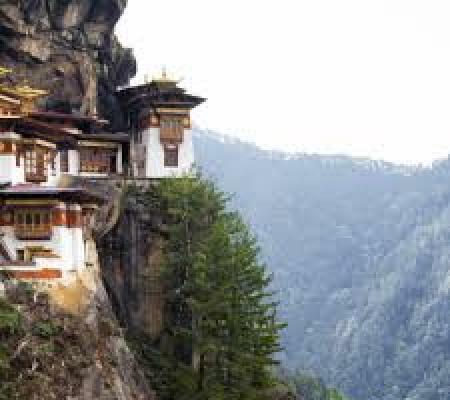 This monastery helps us to know much about Bhutanese history. For the fourth day we visit Simtokha Dzong, the oldest fortress which is now religious school. Then we visit Ta Dzong, the National museum of the kingdom and Paro Rinpong Dzong. Departure day. After early breakfast at the hotel drive to Paro International Airport for your onward flight. Additional cost due to natural calamities. Personal expenses such as drinks and guide tips.